Mr. Timmins was a Regional Wealth Consultant with Wells Fargo Advisors and worked with financial advisors and their affluent, ultra high-net worth clients to help them better understand and administer estate planning issues. Mr. Timmins helped clients focus on wealth transfer and preservation strategies encompassing estate tax, income tax, charitable and non-tax planning issues. He also helped executives with public companies access stock-based employee benefits, and assisted closely-held business owners in analyzing owner and key employee compensation and business succession strategies. Mr. Timmins regularly conducted educational workshops for clients and their financial advisors. Prior to joining Wells Fargo, Mr. Timmins started the A.G. Edwards Trust Company in California, which was eventually acquired by Wachovia Securities, LLC, which was then acquired by Wells Fargo. Mr. Timmins also served as Vice President and National Senior Philanthropic Consultant for Merrill Lynch Trust Company, and also served as the Gift Planning officer for Sharp HealthCare Foundation of Southern California. He directed, designed, and implemented one of the first planned giving programs for the American Heart Association and its national philanthropic estate planning division. 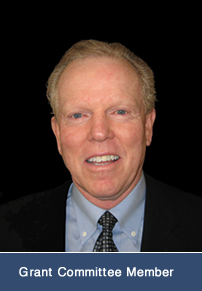 Mr. Timmins specialized in the design and funding of wealth transfer plans for individuals and family owned businesses. Mr. Timmins holds an undergraduate degree in accounting from the University of North Dakota, and a Juris Doctor degree from Thomas Jefferson School of Law in San Diego. Mr. Timmins played professional baseball in the Detroit Tigers organization, and served as an infantry officer and platoon commander in the United States Marine Corps during the Vietnam War. He is securities registered as a General Securities Representative (Series 7), and an Investment Advisor (Series 66), and life, health, and variable annuity licensed.